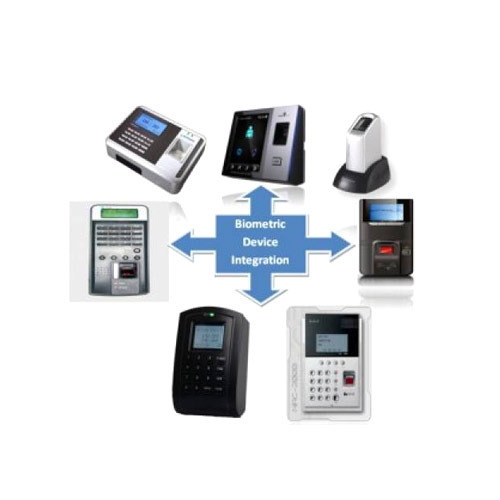 We are a leading Supplier & Trader of Time Attendance System such as Finger Print Based Time & Attendance System, Swipe Card Based Standalone Time Recording System, UBS Time Attendance System, Biometric Time Attendance System, Fingerprint Based Time & Attendance System, Fingerprint Based Time & Attendance Machine and many more items from India. We are engaged in the supply and trade of elegantly designed Swipe Card-based Time Attendance Systems. Equipped with sensors, these systems have user-friendly software which stores large amount of card data and attendance records at a given point of time. They have indicators for acceptance and rejection. They are widely used in schools, colleges, offices etc. for keeping a record of the presence and absence of employees. They record the days of presence as well as the hours of presence. They also alert the staff regarding the entry of an unauthorized person. They are highly dependable equipments which are quality-tested by our professional auditors before being dispatched to the clients. We are engaged in the supply and trade of premium-quality UBS Time Attendance System. They are widely used in various schools, colleges, offices etc. for maintaining a record of the attendance of the staff members, students, employees etc. They are equipped with reliable, user-friendly software. They restrict the unauthorized entry of intruders since they let a person in only after the verification of his fingerprint stored in the system. They are used to record the time of entry and the time of exit of people in order to maintain an accurate attendance record. 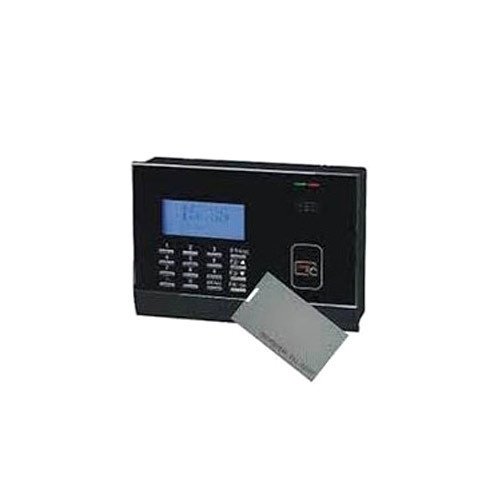 These attendance systems are highly acclaimed for their reliability. They are easy to mount on a wall and install. They require negligible maintenance. They display accurate results on an LCD screen with utmost clarity for easy viewing. They are available to clients at economical prices and are well-known for their efficient operation. We are engaged in the supply and trade of unique and reliable SwipeCard Based Time Attendance System. They are available to clients in sturdy designs and multiple specifications. They are easy to mount on a wall and install. They provide secure and authorized access into the premises of a particular place. They have the capacity to store a large number of transactions at a given point of time. They are light-weight equipments that accurately display the results on a TV screen. 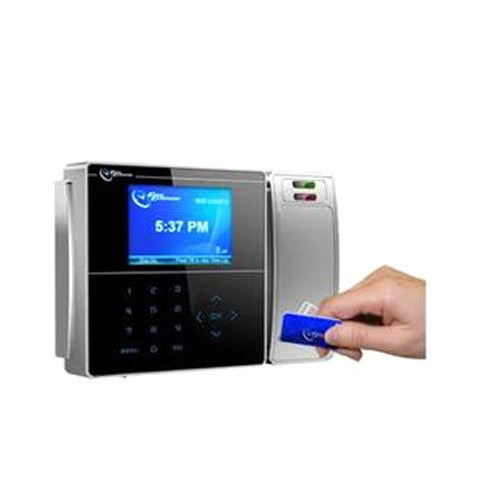 It is used in offices, educational institutions and all those places where proper management of access control, time and attendance and meal management are required. They enable quick identification. These systems prevent unauthorized entry into the premises. They also help in accurate display of the time of entry and time of exit of a particular person. They are highly reliable appliances. They have a large battery back-up and are well-known for efficient service provision. By efficiently using our expertise, we are engaged in the supply and trade of Finger Print Based Time Attendance System. They are reliable appliances used to record the attendance of students, employees and teachers at schools, offices and colleges, respectively. They save a lot of time and eliminate the need for manual record-keeping. They have a large storage capacity wherein they can store 10000 fingerprints and 80000 attendance records. Equipped with a large LCD screen, they have sensors for detection of fingerprints. They also restrict the entry of unauthorized people into the premises. They have a sufficiently large battery back-up and have a large LCD display screen for easy viewing of data. They are priced reasonably. Our skilled workforce helps us engage in the timely supply and trade of premium-quality Biometric Time Attendance System. They are used widely in schools, colleges, offices etc. to maintain reliable and accurate record of the ‘in time’ and ‘out time’ of staff and students alike. They record the fingerprints of individuals to allow or restrict their entry into the premises. Based in the fact that every individual has a unique fingerprint that cannot be replicated by anyone else in the world, out attendance systems help in preventing the possibility of proxy attendance, a phenomenon that is very common these days. They immediately display the results on the LCD screen with optimum clarity. They are reliable equipments that facilitate easy and quick installation. They have a long and efficient service life and are acclaimed for their sturdiness. 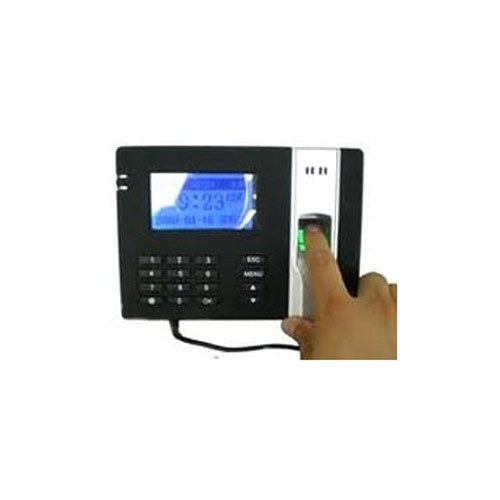 We are one of the prominent suppliers and traders of premium-quality Biometric Time Attendance System. They are widely used in schools, colleges, offices etc. to record and store fingerprints for easy identification of the entry and exit timing of an individual. This helps in maintaining an accurate record of their attendance. It also helps is restricting the entry of unauthorized visitors into the premises of a particular place. They are highly acclaimed for their capacity to store a large number of fingerprints at any given point of time. 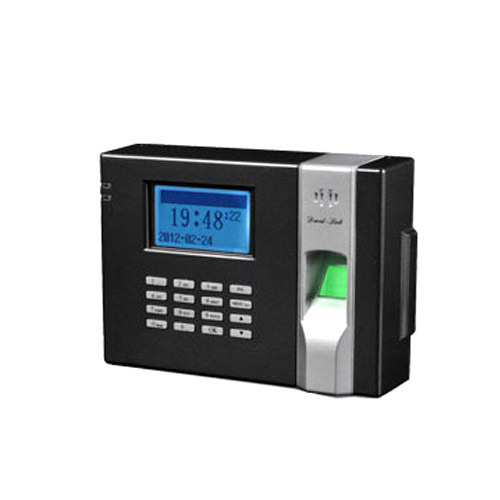 They are available to clients in elegant designs with simple access control mechanism. They are user-friendly and display accurate results on the LCD screen with utmost clarity. They are well-known for their reliable and efficient functioning. 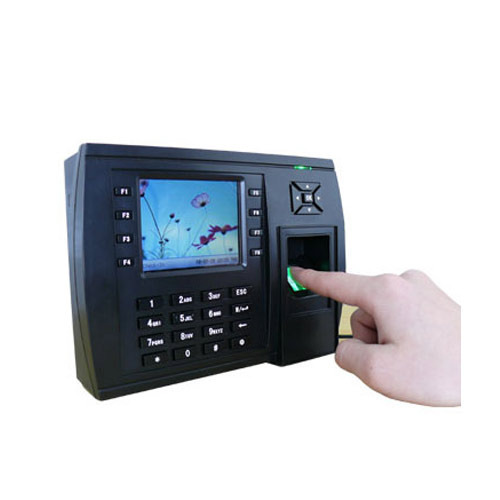 We are leading suppliers and traders of high-quality Fingerprint Based Time & Attendance System. They are reliable equipments that are used widely in educational institutions and offices to maintain an accurate record of the entry and exit of the staff members and students based on their fingerprints. These attendance systems are well-known for their reliability. They are developed on the basis of the fact that every person in this world has a unique and different fingerprint. They have a large storage capacity and can store thousands of fingerprints at any given point of time. They also help prevent the entry of intruders into the premises as entry is allowed only to those whose fingerprints are recorded in the system. They are fabricated using premium-quality components and are highly acclaimed for their sturdiness and durability. We offer them to our esteemed clients at cost-effective rates. We are key players in the industry as far as the supply and trade of Fingerprint Based Time & Attendance Machine is concerned. Every individual has a unique fingerprint which cannot be copied or replicated by another individual. 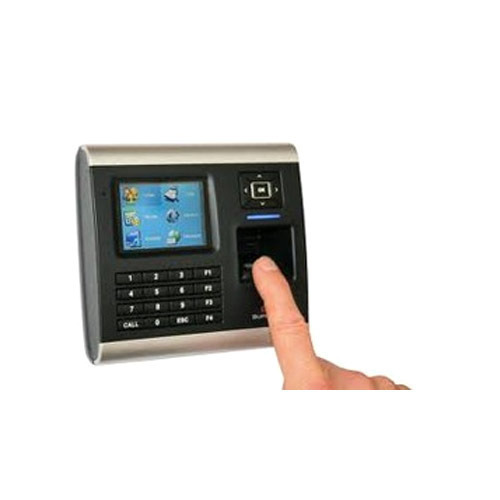 These attendance systems record and store fingerprints to record their time of entry and time of exit into the premises of a particular place. They restrict the entry of unauthorized people into the premises and prevent intrusion. Since fingerprints cannot be copied, these systems help in preventing proxy attendance, which is a widespread phenomenon these days. They enable fast and clear display of results on the LCD screen with optimum clarity. They are used in offices, schools, colleges etc. They are easy to install and are well-known for their durability. 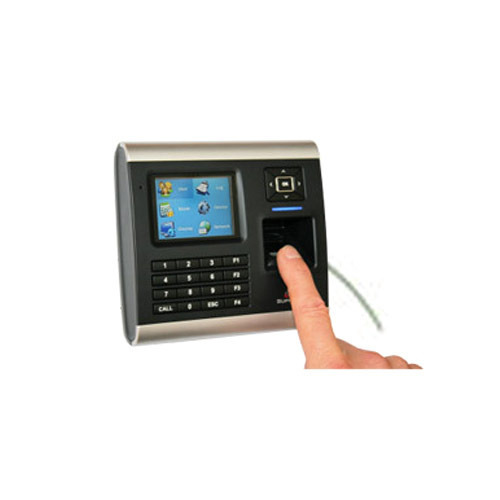 We are engaged in the provision of high-quality Biometric Time Attendance System to our clients. They are fabricated using quality-tested components and are supplied by us to our esteemed clients within the stipulated time period. They use fingerprints to allow or restrict the entry of a person into the premises of a particular area. They are brought into use in offices, educational institutions etc. for the purpose of recording the time of entry and time of exit of the staff members, students etc. They are highly acclaimed by clients for their sturdiness and durability. They have a damage-resistant exterior and are easy to mount. They prevent the entry of unauthorized people. These systems have a large storage capacity and display immediate and accurate results on an LCD screen with high clarity. They are affordably priced. 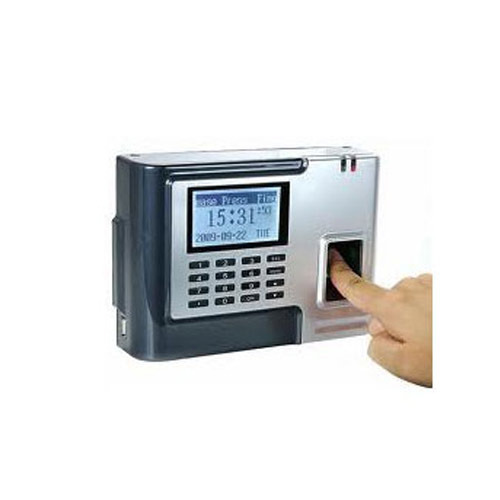 We are eminent suppliers and traders of premium-quality Fingerprint Based Time Attendance System. Every person has a unique fingerprint. 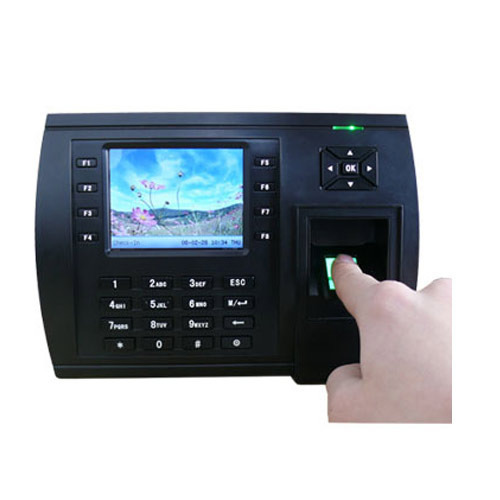 These attendance systems use this feature of fingerprints to maintain the attendance records of a person. They enable accurate recording of the entry and exit timing of an individual by virtue of his fingerprints. They are widely used in schools, colleges, offices etc. to maintain a reliable record of the attendance of the staff and students. They eliminate the need for the time consuming method of manual attendance taking. These machines have an LCD screen for clear display of results. They also help in restricting the entry of intruders into the premises, since entry is allowed only to those whose fingerprints are stored in the system. These systems have a large fingerprint storage capacity. They are economically priced. Looking for “Time Attendance System”?